As the title suggesting i am going to explain in detail with step by step procedure on how to rank and acquire top position in search engines like google, yahoo for your event based blogging. You are not going to run a event based blog for long term. So there is no trouble in doing tons of link building in few days. Without Link building you cant rank for high competition keywords. Apart from on page SEO, Off-page SEO also plays an vital role. Before that plan for what event you want to rank for say you want to make an event base blog on “happy new year 2016“. You people might have doubts like how to check each and every link just do like i am doing. 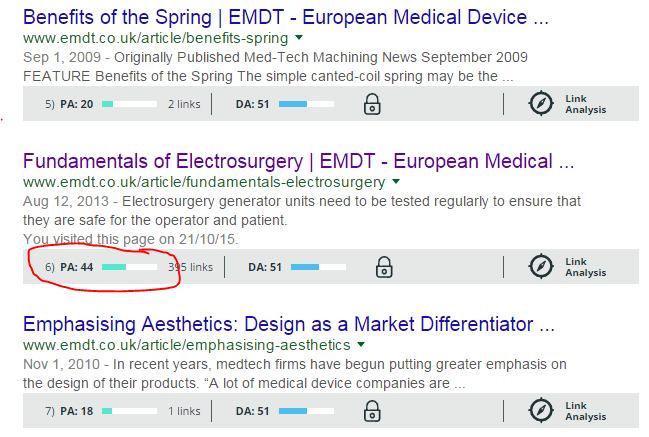 Copy the article URL ( http://www.emdt.co.uk/article/fundamentals-electrosurgery), go to google.com search like this site:http://www.emdt.co.uk/article/ ( Remove : fundamentals-electrosurgery). It will give you list of articles. I forgot to say to find DA, PA, TF you need to install MOZ and majestic SEO tool bars on your browsers. I did similarly i found this with good stats DA 51 PA 44 TF 19. http://www.emdt.co.uk/article/fundamentals-electrosurgery i found this on the second page of the list. Image will help you. Stay tuned for updates on other link building techniques in coming articles. Very Good information , but can you please answer the below Question ? I have built 400 profile links for my blogs but none of them indexing even after manual google submission , autoapproved spam comments on these profile links (even after 2 months) . Can You Suggest me cheap ideas to index the hundreds of profile links ?? DO u recommend any article directories Submission services ? ?